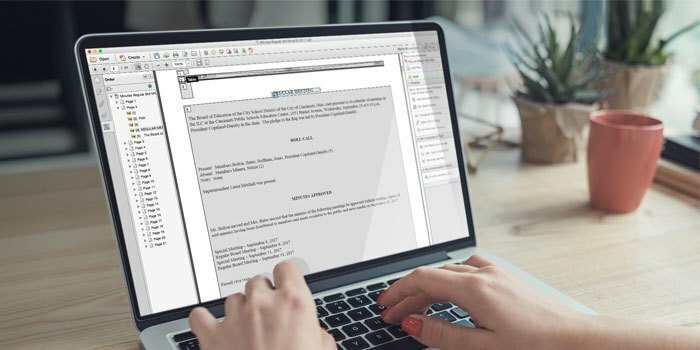 Monthly reports to summarize any and all accessibility issues that arise on your web pages. Your monthly overview pinpoints the number and location of issues, what fixes were made, need to made, and need review. Ongoing training and support to keep your web pages fully accessible. Includes video training and documentation for accessibility best practics and 24/7 Helpdesk support. Part of our commitment to professional development for school communicators. 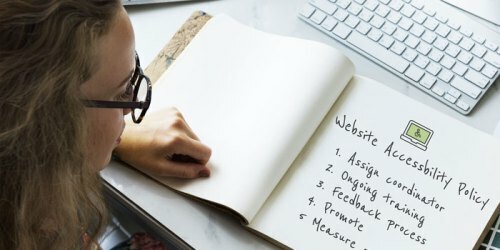 Includes blog articles, webinars, guides, templates, case studies and a forum to share best practices in school web communication. View and download past accessibility reports by clicking on a report in the list below. 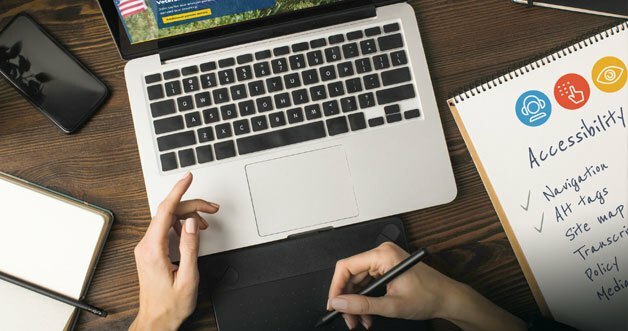 This template is designed to make it easy for you to quickly create your own school website accessibility policy – the first step to web accessibility compliance. 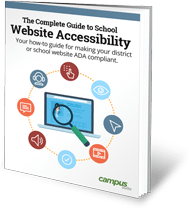 A complete guide to help you learn how to prepare your school website to be ADA compliant, and keep it fully accessible to people with disabilities.